Twitch is starting to open its doors to artists and craftsman alike. Today, Twitch expanded on the Creative aspect that has been becoming quite popular over the last few months with the addition of the Commission button. Any Partnered Twitch streamer can turn on the button to offer their services to viewers. 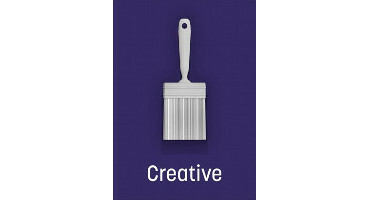 To do this, you must have ‘Creative’ as your ‘Playing’ category in your dashboard. If it’s not set to Creative, you won’t see the commission options! Once you’ve done this, go to your Partner Settings within your dashboard. A new section will appear called ‘Commission’. This is where you can turn on/off your Commission button and include a custom message to include any details about the commission process. For example, pricing, required information, and timeline for the commission. Clicking the Commission button will open a small window that includes the custom message the streamer set in the dashboard settings. It will also open up a Whisper conversation between the viewer and the streamer so the process can begin. This is an amazing step in opening Twitch to a broader audience. It also allows artists to be paired with gamers in hopes to share interests with one another. The best part, Twitch takes no cut of the work or payment. They offer this service free of charge. The Commission button is still in Beta so there may be improvements as it goes along. Want to discuss this with other streamers? Join our StreamerSquare Discord.